Welcome! 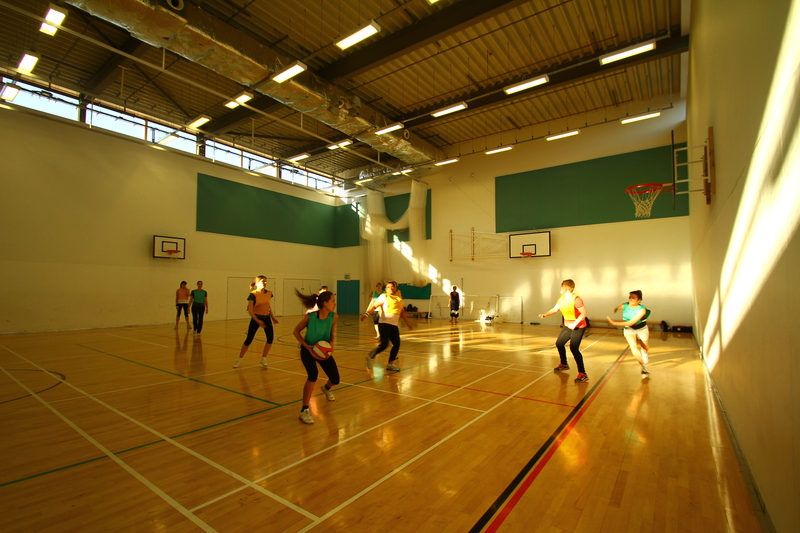 Playversatility.com runs versatility and netball leagues in Highbury. Register your interest or view current fixtures below. Versatility is a fun and fast version of netball with just a couple of simple changes. Firstly, in versatility netball, every player switches position every time their team scores. This means that you get to play every position throughout the game. Secondly, we use basketball hoops so it’s much easier to score! If you’re new to netball, have not played netball in a while or just want to improve your all round game then try versatility netball. Ladies versatility lower and upper leagues run on Monday evenings. Register your interest here. Versatility is played with 5 players* on court for each team – GS, GA, C, GD, GK. Players rotate positions each time their team scores a goal. The GS goes to GA, GA to C, C to GD, GD to GK and GK to GS. The team that has conceded a goal do not rotate. It’s played indoors on a basketball court and the basketball hoop is used to score. The game is played as two 18 minute halves with a two minute break at half time. There are no outs at the end of the court, so the ball can bounce off the walls (although you can’t bounce it to yourself). The centre pass must be received in the centre third. After this there is no “over a third” rule. 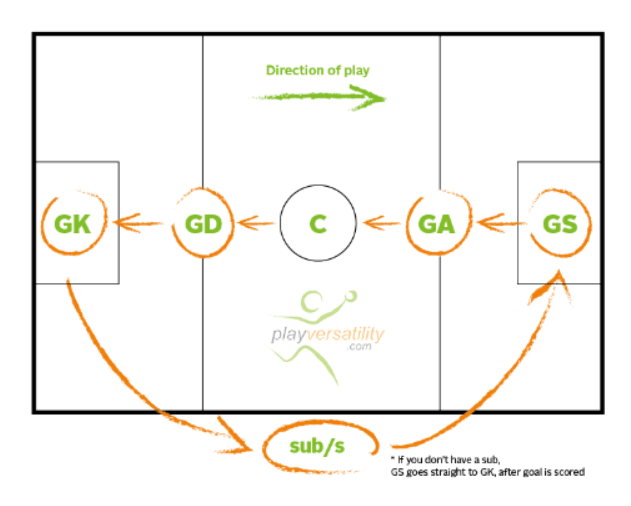 *Substitutes can also be used so that the GK goes to the sub position (off court) and the player who was the sub goes straight into the GS position. The basic rules of netball still apply. Like netball, versatility is a non contact sport and rules such as obstruction, contact, footwork, playing advantage, offside, and replayed ball are still fundamental. Each player can only go in the same areas of the court as they would expect to if they were playing netball, the centre pass still rotates each time a team scores, three feet is still three feet and three seconds is still three seconds (even if it still feels like less!). 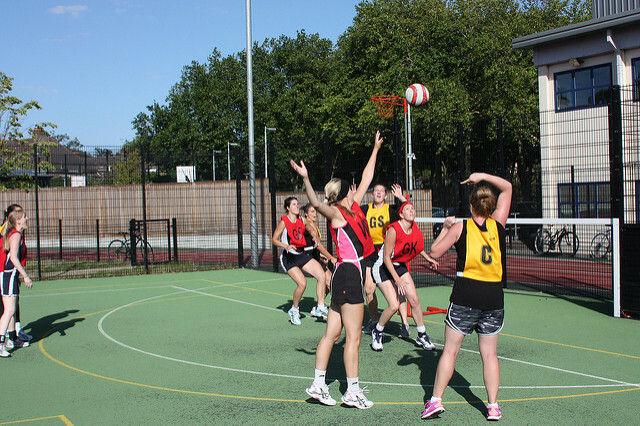 We run regular netball leagues on Thursday nights at Highbury Grove School. Seasons are 12 weeks long and matches are played at 7pm, 7:40pm and 8:20pm – a different time slot each week. They are 3 leagues currently running; ladies B (intermediate), mixed B (intermediate) and mixed C (recreational). Fill in the registration form to sign up as an individual, group of friends or a full team. For season start dates and costs please click here.